Mac lovers can get ready for a new 7-inch iPad, which could be released this fall. A new 7.85 inch iPad mini is all gearing up to get launched in September by Apple, it will be much thinner this time compared to the present 10” ipad. According to the reports Apple is expecting to sell new “ipad mini” between 7 and 10 million in the 12 months following the launch of the new product claim sources. Sources also claims that the ipad mini is to feature the G/F2 technology, with Nitto supplying the key thin-film materials, and Nissha Printing and TPK producing the touch screens, the sources said. However it is believed that the Apple might have come up with this thinner version right after the big success of the Amazon’s KindleFire. It looks like Apple’s new tablets will be in direct competition with Amazon’s kindle. They are expected to be priced between $249 and $299. 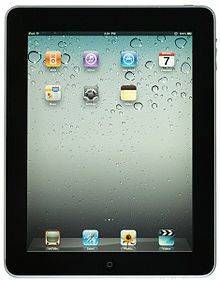 I decided to buy ipad 3.but has to wait long time for mini.